We call this dedicated. These shops are dedicated to one thing only, donuts! Each is also dedicated free of at least one of the top 8 allergens. 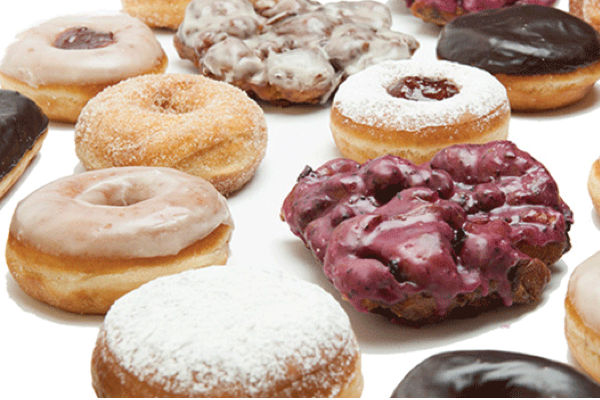 Find these donuts locally, on your travels, or even your front door — as several shops deliver. We think that’s pretty sweet! The Backstory: D’ercole Donuts is a family owned donut shop and has been proudly nut-free since day one. 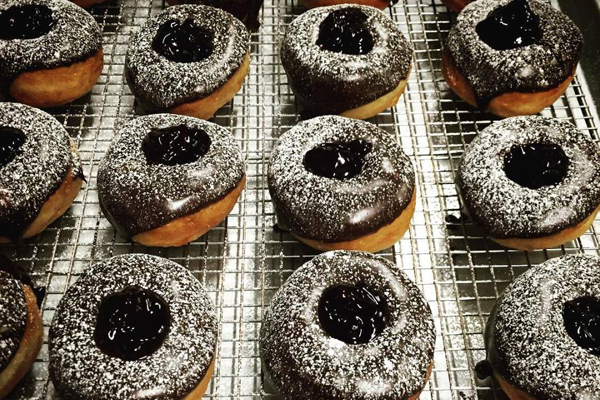 The Backstory: Donut Farm’s commitment to the vegan lifestyle means no eggs or milk in their donuts. The Backstory: All the donuts are vegan, no egg or milk, however they do offer milk for coffee and drinks. The most popular flavor, hands down, is Strawberrylab. The Backstory: The owner doesn’t eat eggs for religious reasons so all products are egg-free. They are famous for their square creme brûlée filled donuts. The Backstory: The owners set out with a mission to open New York’s first all vegan donut shop. The Backstory: The owner sought to provide a source for nut-free, locally made donuts in his hometown of Chattanooga. 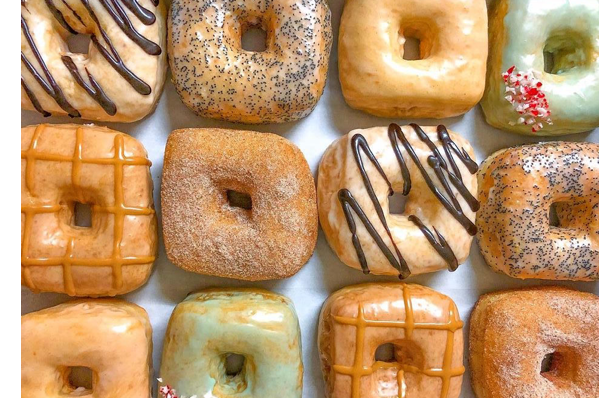 The Backstory: Mighty-O creates egg-free, organic donuts as part of their mission to create environmentally friendly treats. The Backstory: The owner is a proud vegan and opened her shop to provide tasty vegan options. The Backstory: Twin sisters started Peaceful Provisions to create a donut shop dedicated free from animal products. The Backstory: This shop makes baked tofu donuts with a rice flour dough. 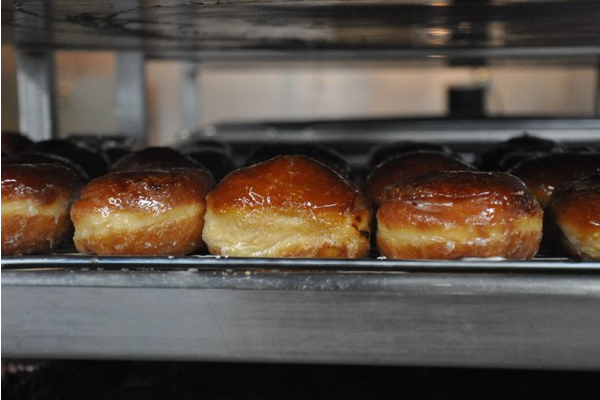 The Backstory: Donut Pub is a New York City and a Spokin user favorite. The Backstory: The owner is highly food allergy aware and offers detailed allergen information including ingredients and fryers. Separate fryers, oil, and equipment are used for gluten-free donuts. 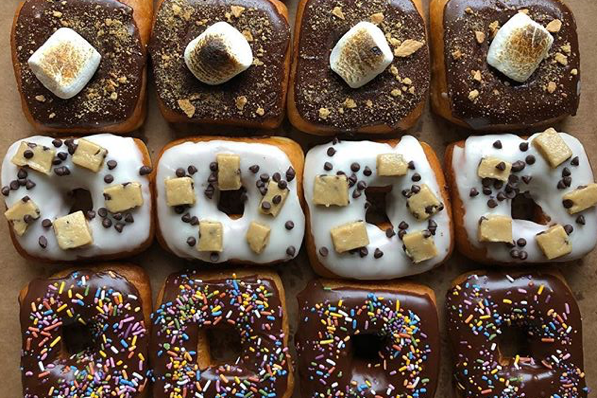 The Backstory: Two donut-loving vegan sisters fulfilled the need for donuts in Northeastern Ohio. The Backstory: The owner’s mom is severely allergic to nuts, and he wanted to make sure his donuts would be safe for nut-free schools.